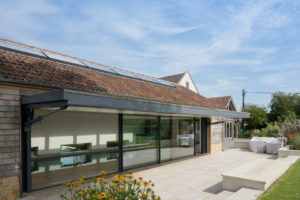 The project involved constructing two new buildings, a pool house and a garage. 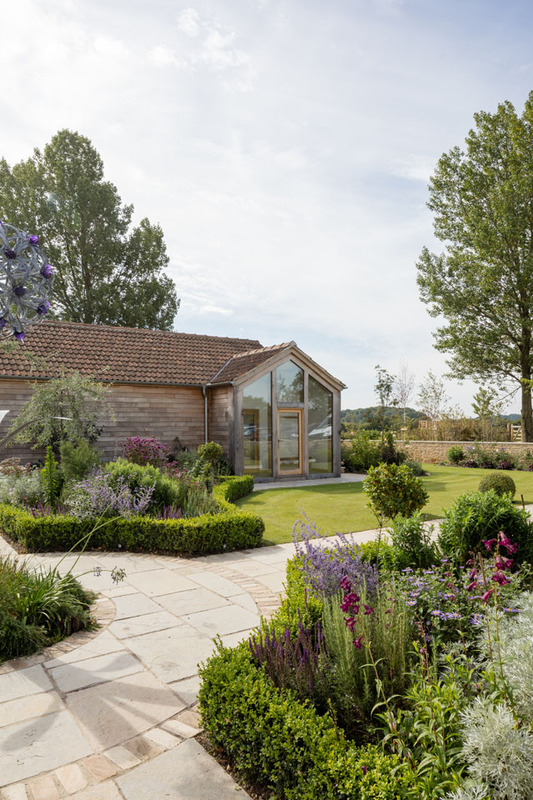 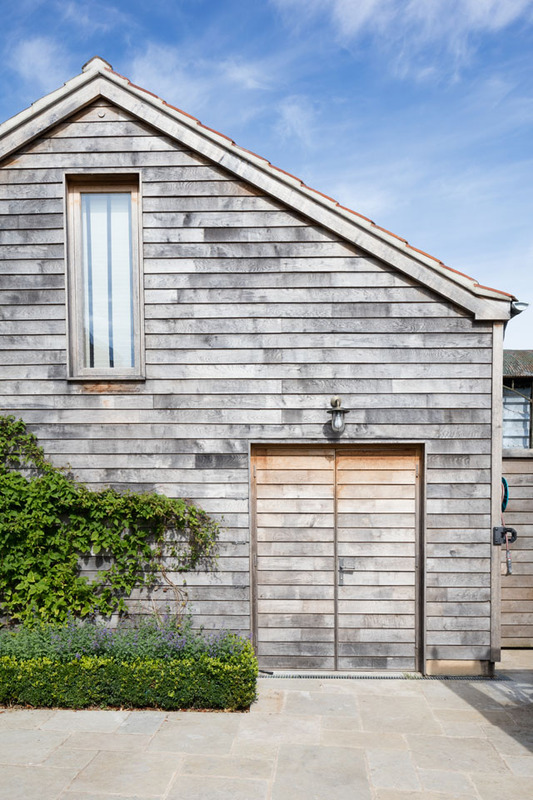 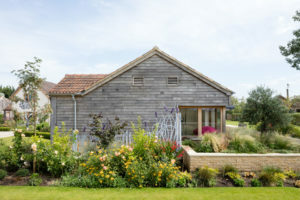 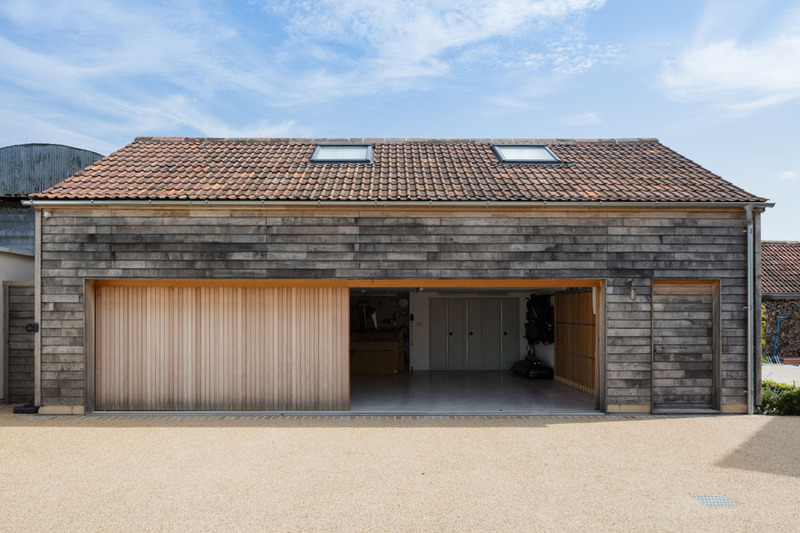 The concept was that these buildings were designed so that the externals retained a traditional farm visual whilst the internals would house a contemporary feel. Both buildings were steel framed and were finished in a horizontal oak cladding that was in keeping with the existing buildings. The swimming pool building was constructed with some very detailed design and cutting-edge engineering. 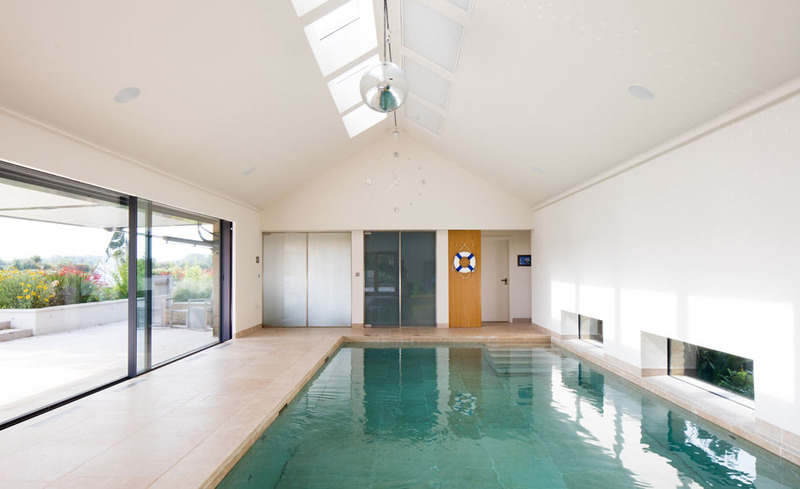 This included a hydraulic floor to the pool which allowed the client to have it fully up, with the ability to use the space for other activities and events, then set at several depths for use of the pool. 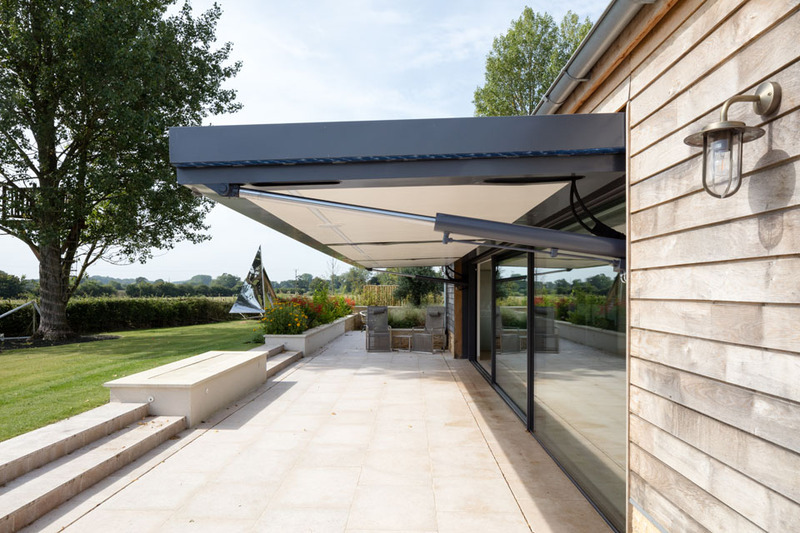 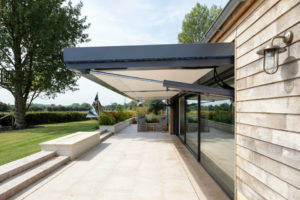 One side of the building had its wall on hydraulics, allowing it to be lifted up to form a fully weathertight canopy housing lighting and an outdoor speaker system. 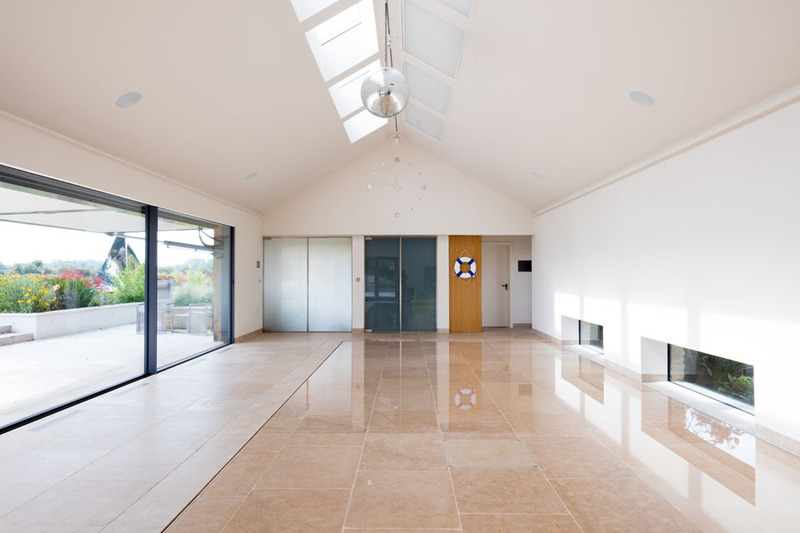 Once the wall was up, it revealed large glass sliding doors opening up to a limestone terrace, perfect for the warmer months. The building also housed a fully integrated speaker & lighting system, gym, steam room, kitchenette and WC/changing facilities.